Martin Gordon has had a long musical career dating back to Sparks and Radio Stars in the 70s and starting his solo career in 2003. Now 15 years later he has developed into what sounds like a bitter old man railing against a world that he is powerless to change. Just take a look at the song titles — “Idiots,” “Political Correctness,” “Bad Guys (Sad),” “UnPresidented,” “Dump the Trump,” “Tiny Mind,” and “God’s Not Great” — and you will gain some idea of where his mind is at. The album title is a reference to Douglas Adam’s fourth book in The Hitchhiker’s Guide to the Galaxy trilogy and is the message the dolphins left when they departed the Earth just before it was demolished to make way for a hyperspace bypass. So I was expecting something entirely different on this album. Overall the music is a blend of Britpop, punk, psych, and music hall songs ala Gilbert and Sullivan. There are moments when Gordon sounds like a mellow Ian Dury or Johnny Rotten. And others where the music sounds like some of Voltaire’s gothic-kids songs. Many of the songs are catchy, and though “Tiny Mind” is a close-minded put down of people he disagrees with, the song features a tasteful blend of David Bowie and Beatles-esque harmonies. 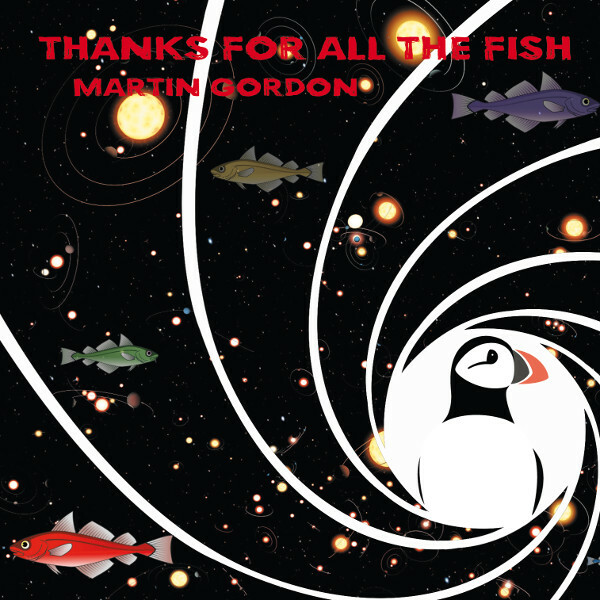 Plus Gordon covers a song from his Radio Stars days, “The Beast of Ankara.” If you let the music flow over you, ignoring the lyrics, Thanks for All the Fish can be enjoyable. But on the other hand it feels like when you are having an internal family spat and someone outside interferes when it is none of his business. So if you are up for some curmudgeonly songs, perhaps Thanks for All the Fish may fit the bill.